I have spent many days on various lakes and rivers enjoying what nature has to offer. 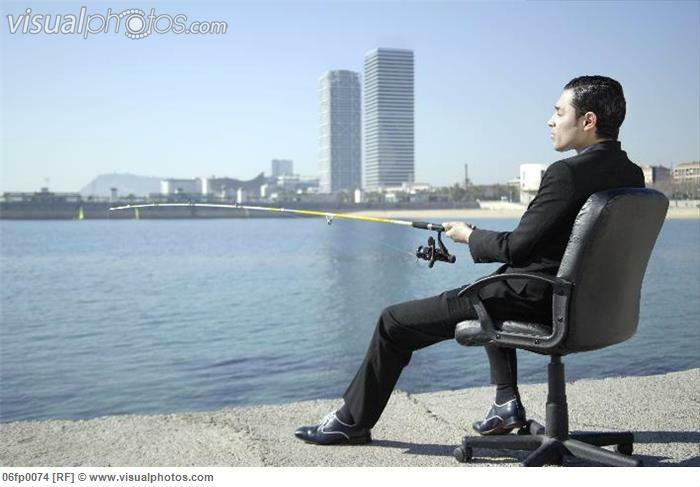 In doing so, I’ve discovered a great parallel between fishing and painting that will relate to almost any business. Every business has its season, and consumer demand for various products will rise and fall like the tide of the ocean. There will be moments when the phone starts ringing and when it stops. In those moments, we try to find meaning or more importantly, leading indicators of that activity in order to better demand plan. I have found that most business people, when confronted with a decline in demand during a “low season,” will try to even out that decrease in revenue by spending money on marketing. While logical and probably convenient for the business owner to try and even out cash flow, it doesn’t necessarily work for the consumer. Take for example the various bug hatches that occur every spring and throughout the summer. Fish are a species of opportunity, and when the mayfly hatch is on and there is an abundance of that insect available, the focus in on, almost programmatically to the mayfly. During this time period when the Brown Trout would normally eat a moth for example, it is so focused on eating as many mayflies as possible that the trout tends to ignore other options. Upon catching his first trout, the scientific angler who understands this rule will often gently pump the trout’s stomach in an effort to find out what the fish has been consuming that day and try and match his flies accordingly. Now let’s talk painting. When was the last time you thought about painting your house? Have you noticed that most home improvements tend to happen around spring, as you emerge from your winter’s slumber? Or perhaps you are anxious about making sure that any bare wood or flaking paint be removed and reapplied before winter arrives in the fall? If you are like most people, you will begin your quest for the perfect painter via the Internet, or maybe a direct mail piece floats down the river with an eye-catching promo boasting, “Paint now and pay later with your tax return,” and you bite. Response rates to direct marketing or interactive marketing increase substantially during these seasons. Now imagine you are getting ready for Thanksgiving or Christmas, for example. If that same direct mail piece came your way during these periods, how would you respond? Just like the Brown Trout who is programmed to go after the mayfly, so are we as consumers programmed in a way to respond to marketing signals at various times of the year in different ways. This is, in my opinion, the power of franchising. The scientific business that gathers data to determine what to do and when and how is the one that will catch the most fish.